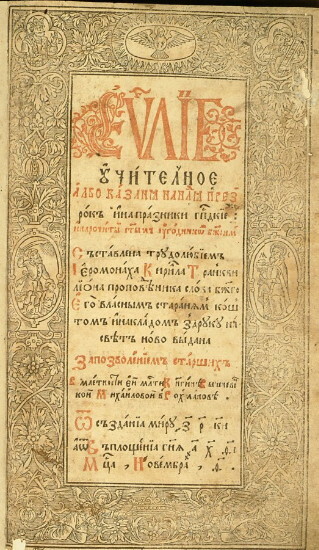 Stavrovetsky-Tranquillon, Kyrylo [Stavrovec’kyj-Trankvylijon], b ?, d 1646 in Chernihiv. Churchman, educator, poet, scholar, and printer. He taught at the Lviv Dormition Brotherhood School in the late 1580s and moved to Ostrih and Vilnius in 1592. At the beginning of the 17th century he returned to Lviv, where he resumed his activities with the Lviv Dormition Brotherhood and defended it before Patriarch Jeremiah II of Constantinople. He served briefly as hegumen of the Univ Monastery (1618) and then at the Lubartów Monastery near Lublin (1618–9) before becoming a preacher in Zamość (1621–5). 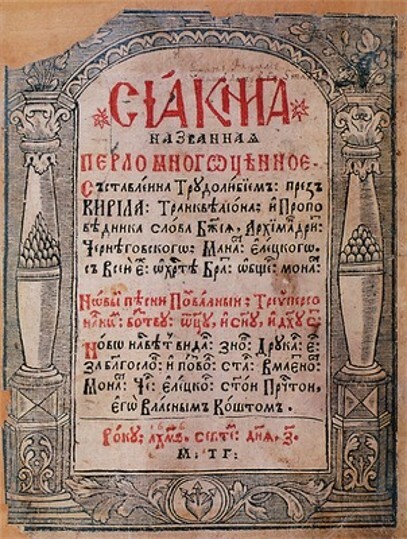 Stavrovetsky established his first printing press in 1618, to publish his Zertsalo bohosloviia (Mirror of Theology), an exposition of the theological doctrine concerning God, and his didactic gospels (1619), which contained a collection of his sermons. 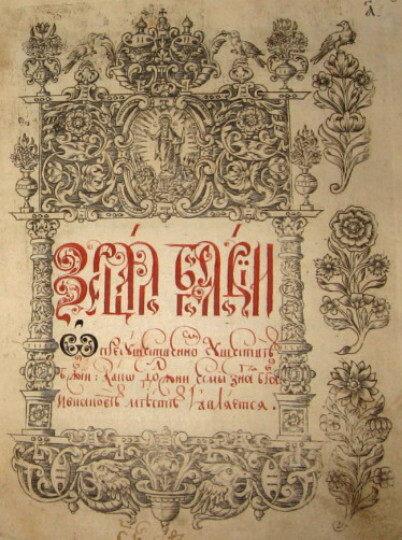 Both of those works were republished several times (in Univ, Pochaiv, and Mohyliv-Podilskyi) and circulated widely throughout Ukraine and Muscovy; his edition of the didactic gospels, however, was condemned in the early 1620s by a congress of Ukrainian Orthodox bishops headed by Metropolitan Yov Boretsky, and in 1627 Moscow church authorities ordered that it be burned. In 1626 Stavrovetsky joined the Uniate church and was appointed archimandrite of the Yeletskyi Dormition Monastery in Chernihiv. 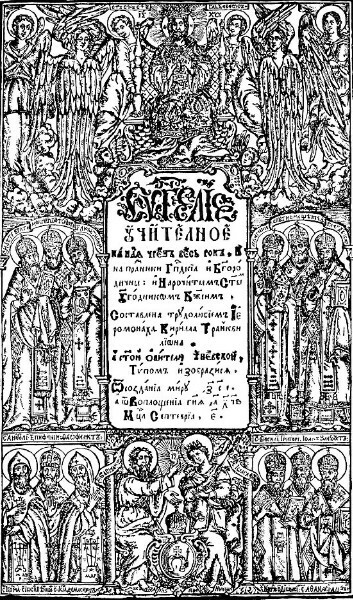 Just prior to his death there, he printed another collection of sermons and moralistic poems, Perlo mnohotsinnoie (The Priceless Pearl, 1646).